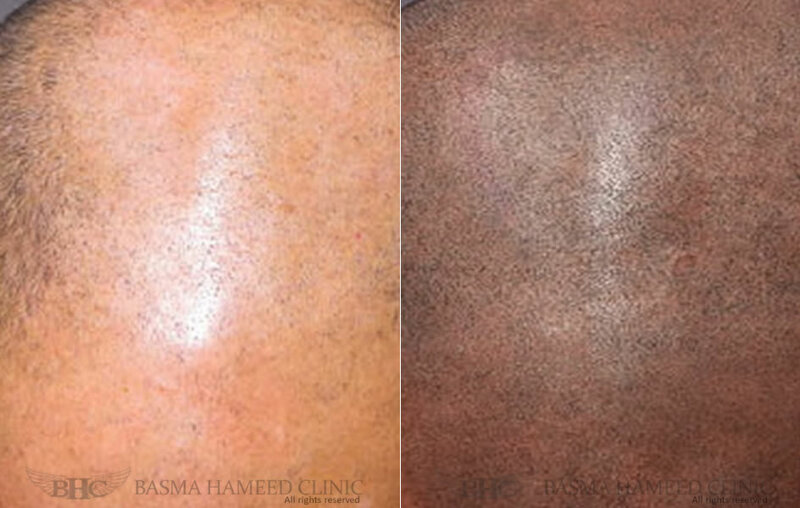 Micro-pigment implantation is a procedure developed for hair restoration for both men and women. Using the same technology as BHC's unique re-pigmentation procedures, our senior technicians are able to customize a pigment colour that mimics your natural hair colour. A tiny needle is then used to deposit pigment into the dermal layer of the skin on the scalp gives the illusion of a hair follicles which give the appearance of a full head of freshly shaved hair and coverage of thinning areas in long hair. Micro-pigment implantation is also an ideal way to help camouflage the visibility of scars from previous hair transplant surgery or other scars on your scalp.